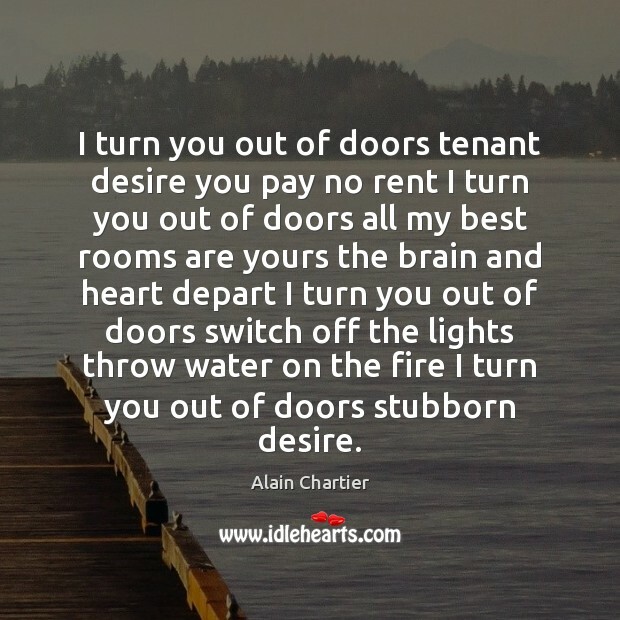 Enjoy the best inspirational, motivational, positive, funny and famous quotes by Alain Chartier. Use words and picture quotations to push forward and inspire you keep going in life! I turn you out of doors tenant desire you pay no rent I turn you out of doors all my best rooms are yours the brain and heart depart I turn you out of doors switch off the lights throw water on the fire I turn you out of doors stubborn desire.